A new range of exquisite jewellery from Mats Jonasson Maleras in Sweden. 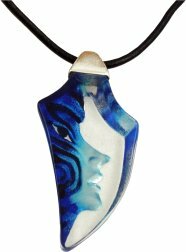 Amazona is a hand crafted crystal glass pendant designed and created by the glass sculpture master craftsman. A truly stunning piece of jewellery.